34 renters saved this place. FItness center and study rooms are coming soon! 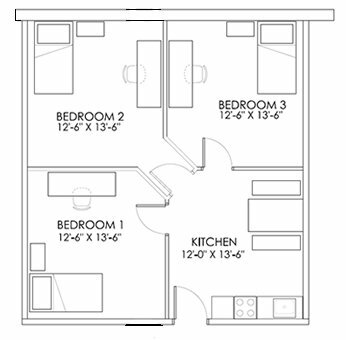 Fun, affordable student housing ideally located in the Cultural District of downtown Pittsburgh. Within walking distance to Duquesne and Point Park and a short 15 minute commute to Pitt, CMU, and Chatham. Live where theatres, music, museums, sports venues and great food venues are all at your doorstep. We offer shared rooms and private rooms in suite style living with 3 bedrooms sharing a large kitchen. 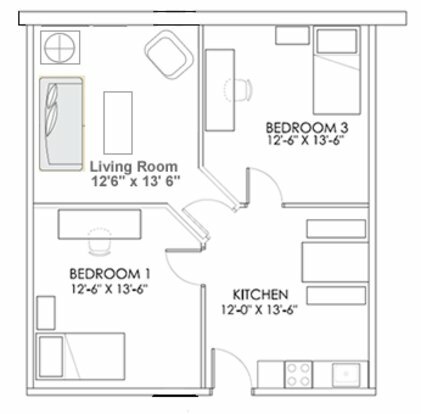 Oversized bathrooms (1100 sq. ft.) on each floor offer multiple private showers, sinks, mirrors and essentials. The bathrooms are cleaned each day by our staff. Experience the convenience and comradery of dorm style living in the heart of downtown. * Walk to Market Sq., North Shore and Station Sq. 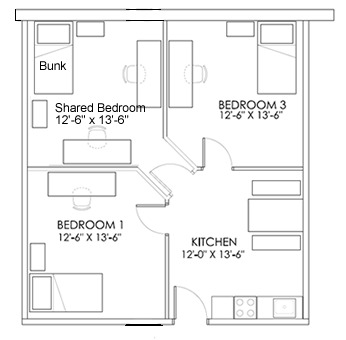 Penn Commons Student Housing is located and 0.30 miles from Point Park University. The property has a Walkscore of 97, so you will be in walking distance of everything you'll need on a daily basis. Penn Commons Student Housing has many shops nearby. Coffee shops in the area include Hard Rock Cafe Pittsburgh, Starbucks, Marty's Market. There are a number of markets in the area include Giant Eagle, Pennsylvania Macaroni Co., Lotus Food Company.